Looking for a reservation? Please click the "reserve table now" link above. Do not fill this form out if you're a solicitor. Please explain why you are contacting us. Please do not request reservations here, but instead use the "reserve table now" link above this form. If you enjoy drinking wine, you have probably discovered a preference for either white or red wines, or perhaps you enjoy both equally. 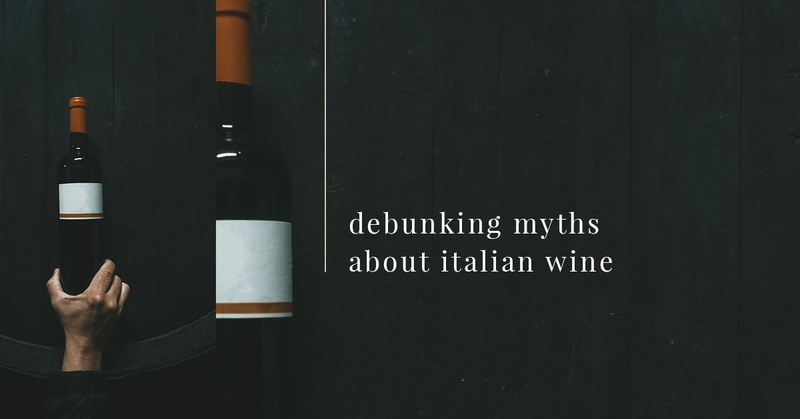 Today, we have gathered together some of the most common myths about Italian wine which will be followed by the truth. We hope you enjoy learning about some common wine myths, and we look forward to seeing you at our wine bar at Asiago’s in Boise. Chianti is typically a dry red wine. Its name comes from the grapes that make it, Sangiovese, not the region it is from, which is Tuscany. People used to associate Chianti with cheap Italian restaurants featuring red-checkered-tablecloths. Perhaps this is where the myth developed that it was commercially produced and therefore cheap. The truth is that the majority of Chianti wines sold in the U.S. are actually high-quality wines. If you are looking for a dry, red wine with an earthiness to it and hints of cherries and strawberries, then you definitely want to order a glass of Chianti at our wine bar! Most people who enjoy wine are familiar with the rule that says red wines should be paired with red sauces, and white wines should be paired with white sauces. However, a myth has somehow circulated that Italian wines, be they red or white, must be paired with Italian foods. 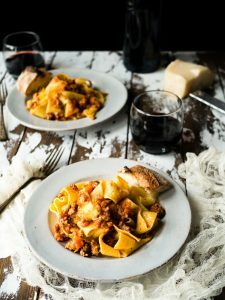 At the risk of stating the obvious, Italian foods would pair very nicely with Italian wines from the same region, however, this doesn’t mean that they should never be paired with foods from other countries. Don’t be afraid to branch out and see what delicious combinations you can create. If you have a strong preference for red wines, you might be susceptible to falling prey to this myth. While Italy does produce twice as much red wine as white wine, this doesn’t mean that the red wines are superior to the white options. Italy has one of the most diverse growing regions for wine due to its extensive latitudinal range, and its vast shoreline. Italy produces excellent whites such as Fiano di Avellino, and Greco di Tufo. Be sure to try a glass for yourself at our wine bar and taste the excellence! In truth, this word actually means “sparkling”, nothing more, nothing less. The confusion probably comes from the fact that Asti Spumante, which is a sweet, sparkling wine has become incredibly famous. Some wineries have co-opted this term to refer to the sweet bubblies they produce, and therefore, many people have logically followed along with the misunderstanding that the term spumante means a sweet, sparkling wine. Both in reaction to this, and in an attempt to distance themselves from this misnomer, you will notice that the producers of Asti rarely display “spumante” on the label of their bottles anymore. While this was not an exhaustive list of the common myths about Italian wines, we hope that you were enlightened and enticed to try an old favorite, or a new adventure when you come to Asiago’s and visit our wine bar. Call today to reserve your table and taste the best that Italian wine has to offer. great food.... starts with great ingredients. Whether you enjoy traditional Italian flavors or appreciate a more adventurous, eclectic approach to your Italian cuisine — our food is approachable, unfussy, and simply delicious. Beginning with pasta made in-house daily, the menu is prepared in our kitchen from scratch. Our menu is cooked to order, which allows modifications for personal taste or preference. Guest favorites — hand-crafted in the kitchen by our culinary team. Chef selections inspired by the season. Wine, beer, espresso, small-bites, lunch, and dinner — served in the wine bar. Asiago's welcomes the opportunity to make your next special event unforgettable. ©2018 Asiago's Restaurant & Winebar® - Do not copy I All rights reserved.